Welcome to Part One of the October 2015 Member Round-Up, covering the first two weeks of the month. Over the past two weeks CIMSEC members have examined several international maritime security issues, including the U.S. South China Sea Initiative, Russian military operations in Syria and the Mediterranean Sea, the strategic importance of the Arctic and aspects of the U.S. Navy’s procurement strategy. Beginning the Round-Up at The Diplomat, Ankit Panda discusses the changes made by the Senate to the National Defense Authorization Act 2016 (NDAA 2016). The bill’s new features include Taiwan among a list of countries that will receive financial and military assistance from the U.S. for operations in the South China Sea. Additionally, the NDAA 2016 outlines the new U.S. South China Sea Initiative, which aims to increase maritime security and maritime domain awareness for foreign countries in the region. Also for The Diplomat, Ankit Panda shares a second article where he discusses Chinese coast guard operations near the disputed Senkaku/ Diaoyu Islands. These operations have substantially increased East China Sea tensions as the Chinese coast guard continues to enter Japanese territorial waters to support their claim over the islands. ADM. James Stavridis in an interview with Bloomberg Business discusses the U.S. government’s position towards the artificial islands being constructed in the South China Sea. ADM. Stavridis states that from the U.S. perspective the islands will not affect freedom of navigation (FON) considering the islands represent international sea and air space and not sovereign Chinese territory. Leaving the Asia-Pacific, ADM. Stavridis speaks with Bloomberg News concerning Russian and U.S. operations within Syria and the Mediterranean Sea. He explains that both countries’ naval and air forces in the region have not established deconfliction processes meaning their local command structures are not communicating with each other. In addition, ADM. Stavridis states that the U.S. will need to prioritize ISIS over other security objectives in the region, a strategy that will consist of significant increases in ground force deployments in Iraq and eventually Syria. Chuck Hill, for his Coast Guard Blog, discuses the recent cruise missile attacks launched by Russian naval forces from the Caspian Sea against targets throughout Syria. Mr. Hill identifies that these attacks demonstrate Russian surface combatant capabilities similar to that of a U.S. Tomahawk cruise missile being launched from a U.S. vessel. Further to this, Mr. Hill explains that the Russian vessels launching the attacks resemble less-lethal equivalents in the U.S. Navy, revealing that Russian naval forces are practicing distributed lethality while the U.S. Navy is still deliberating over its implementation. Sam LaGrone, at U.S. Naval Institute News, also discusses the expanding Russian operations within Syria. Mr. LaGrone analyzes the deployment of a Black Sea-based Russian surface action group to the Eastern Mediterranean to provide an air defense bubble in support of Russian fighters striking targets in Syria. These deployments are in addition to the arrival of a Russian surveillance ship as well as several Russian amphibious assault ships in the region. Dave Majumdar, for The National Interest, discusses features of the U.S. Navy’s plan to acquire rail-guns, lasers and nuclear power across the entire future surface combatant fleet. Mr. Majumdar identifies that the future Navy warship will require large amounts of eclectic power to run advanced systems including power-hungry radar systems and energy weapons. Additionally, the current DD-51 and Ticonderoga-class hull-forms will need to be replaced to allow for developing guided-missile destroyers to be equipped with Raytheon’s AN/SPY-6 Air and Missile Defense Radar. To conclude Part One of the October Round-Up, Chuck Hill for his Coast Guard Blog analyzes the U.S. Navy’s decision to commit to the selection of the Longbow Hellfire missile as a provisional weapon system to offer offensive capabilities for Littoral Combat Ships. Mr. Hill explains that the Longbow Hellfire missile system will be extremely effective against highly maneuverable and high speed fast-attack craft and if deployed in large volumes, can also be effective against larger surface threats. Ankit Panda, for The Diplomat, highlights aspects of the China-Pakistan submarine deal estimated at five billion dollars. Eight modified Type 41 Yuan-class diesel-electric attack submarines were purchased by Pakistan in total – four of these will be assembled in a Karachi port. At The National Interest, Robert Farley shares an article discussing German and British naval warfare strategy and engagements during WWI. He also discusses domestic and international issues faced by the European Union at BloggingHeadsTV. Chuck Hill, for his Coast Guard Blog, discusses the development of Russia’s coast guard operations in the Arctic while also analyzing Arctic geopolitics regarding China’s plan to ship energy through the region in cooperation with Russia. Sam LaGrone, at USNI News, shares a congressional report evaluating the Virginia Class Attack Submarine program while also discussing Chinese military deployments on the artificial islands in South China Sea. Bryan McGrath, at The Hudson Institute, participated in a report addressing the future of the aircraft carrier, the Joint Force and high-end conflict. Paul Pryce, at Offiziere, discusses crisis response in the Mediterranean Sea and the potential strategic role of Tunisia. Mr. Pryce explains that if NATO were to include Tunisia in regional security operations it would benefit the region as a whole, considering Tunisia could effectively assist in counter-terrorism, anti-piracy and immigration control. Dave Majumdar shares two more articles at The National Interest. In the first article, Mr. Majumdar analyzes Russia’s air campaign over Syria and notes the impressive amount of combat sorties being launched daily. The second article discusses the U.S. military’s 6th generation fighter and the necessary capabilities it must have to maintain complete air supremacy against any adversaries. Sam Cohen is currently studying Honors Specialization Political Science at Western University in Canada. His interests are in the fields of strategic studies and defense policy and management. 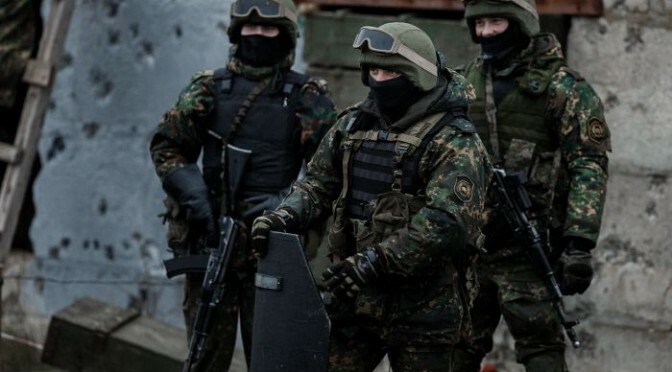 Let’s briefly discuss the Russian expeditionary force in Syria and the European refugee crisis, because from a systems standpoint they are both emanations of the same phenomenon. The great challenge of international relations and national security is to maintain a system in being: specifically, defending a global order presided over and more or less guaranteed by the United States, while preserving a toleration for the inevitable dynamism of that system. American hegemony will not last if it is expressed as a frozen status quo, nor if it sees an absence of American engagement. The problem is that American policymakers understand this rather poorly. Two sorts of arrogance have characterized the American approach to this systemic-preservation imperative in this century. The first was the belief that American systemic hegemony was sufficient to impose outcomes on individual subsets of that system without accounting for their own dynamism. This brought us the outcomes we saw in Iraq and Afghanistan. The second, succeeding the first and in reaction to it, was that American systemic hegemony on its own — absent deliberation and engagement — was sufficient to defend America and its core interests from the consequences of unattended disorder in those same subsets of the system. This brought us the outcomes we see in Syria and Europe, and deserves some exposition. Both types of hubris were on display in the September 2013 Syrian crisis, in which the President of the United States first declared that America would make war on the Assad regime (type one, determinative arrogance), and then declared that it was not necessary to make war on the Assad regime (type two, the arrogance of self-sufficiency). Having declared enmity against a power engaged in an existential struggle, and then having failed to act upon that enmity, the United States reaped all the disadvantages of antagonism with none of the potential advantages. One specific disadvantage it relinquished was the friendship of that power’s own enemies, all of whom perceived that alliance with the Americans would yield no positive outcomes. Those enemies instead turned to perceived-effective foes of that power, among whom the radical Sunnis of Al Qaeda and (arguably worse) ISIS emerged as chief. Further muddying the waters have been American efforts to placate the Assad regime’s major ally and sponsor in Iran, guaranteeing that no anti-Assad force in its right mind will trust us — and in fact many believe we are secretly in league with their antagonists. 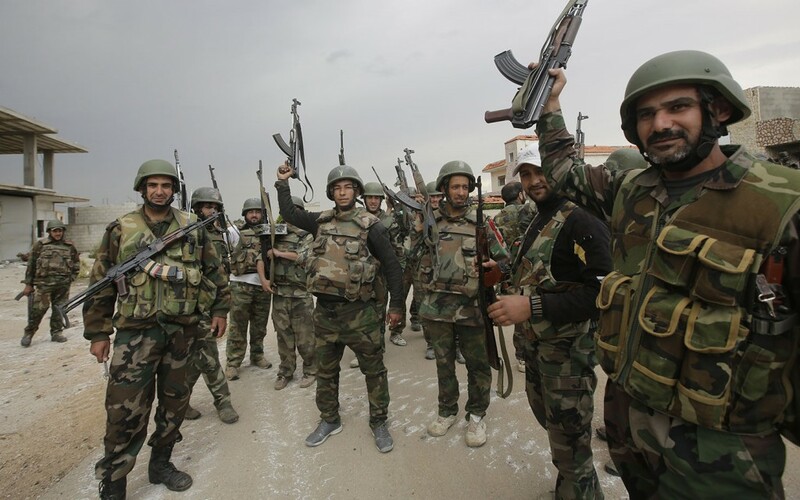 Soldiers of the Syrian Arab Army (SAA). The outcomes in Syria ought to be a testament to the futility of existing policy. Disorder in the system, left unattended, has spread as entropy does. The Assad regime, once perceived as the worst player in the region — or the system’s local minimum — is now arguably the best, and inarguably not the worst. Disengagement has completely failed for all parties, as disorder emanates to Europe in the form of refugee flows, and to America as a challenge to its hegemony with the dispatch of a Russian expeditionary force. The refugee crisis is a rebuke to the Europeans, who pay the price of freeloading off an American-led order (and therefore suffer when the Americans refrain), and also (along with the Greek crisis) seen their continental union project exposed as mostly a superstructure for the benefit of elites. European separation from the broader system has failed. Similarly, Americans are learning that their disinterest in war does not diminish war’s interest in them. It is worth noting that the Russian expeditionary commitment to Syria may be, given visionary strategic leadership, a master stroke. (That given is of course not a given where the Russians are concerned.) The narrative roles the Russians have the potential to fill are a cornucopia of goodwill-generating engagements: defender of Christians, destroyers of ISIS, vigorous great power, guarantor of order, ender of refugee flows, et cetera. Every single one of these narrative roles is in direct contrast to American and European actions (or more properly inactions), and have the added benefit of likely commanding the sympathy of significant minorities within both populations. Russia is not well-equipped to pacify a fractious nation of 20 million people — but it is eminently qualified to ruthlessly crush a local faction, and that is all that matters here. A task leveraging the player’s strengths with such massive prospective benefits embedded in the narrative flaws and faulty assumptions of strategic rivals is either the result of strategic genius — or stupefying luck. Here’s the bottom line: both conceits that have governed the American approach to foreign engagement are false. Entropy extends throughout systems, and one does not get to secede from them as situations demand. We cannot impose control upon dynamic systems. Nor can we secede from those systems and their effects. We are all part of a gigantic meta-system, as a nation and a people, and so our charge is to see to its continuance. That does not mean decisive engagement or disengagement. It means entanglement and — this is unpopular and opaque — maintenance. It means we venture abroad, not to decide and direct, but to contend and affect. It means that sometimes the choice is between dangerous great-power opportunism and catastrophic migrations on the one hand, and desultory and interminable expeditions to strange lands on the other. This is the logic of hegemony and the nature of systems, and it is therefore what we must do. The tragedy is that a democratic society bottle-fed a narrative of “progress” is increasingly unable to do it. Jack Hays is a pseudonym of a public-policy professional and amateur Russophile. See his 2014 analysis of the Crimean annexation here. With the P5+1 Iran Nuclear deal on the table last week, we turn our eyes to Iran and her varied global and regional machinations. 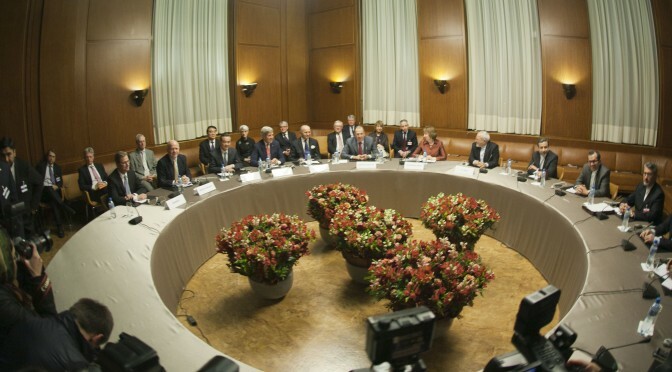 Is Iran ascendant, over-stretched, or is it a wash? Friend of the podcast Behnam Ben Taleblu joins us again to discuss the Iran nuclear deal, as well as Iranian regional military and political operations. DOWNLOAD: Sea Control 73 – Iran Ascendant? Of course since then the Air-Sea Battle office and concept is gone, recently subsumed into the larger Joint Concept for Access and Maneuver in the Global Commons (JAM-GC). JAM-GC may prove to be more successful than ASB in terms of facilitating the procurement of technologies that counter Anti-Access/Area-Denial (A2AD) capabilities. However, since I wrote this article the conventional wisdom regarding the pursuit of A2AD by China has also been challenged. In the Winter 2015 issue of The Washington Quarterly, M. Taylor Fravel and Christopher Twomey argue that “counter-intervention” is not the cornerstone of Chinese military strategy and that any Chinese emphasis on fielding A2AD capabilities are driven primarily to equip it for “a potential conflict over Taiwan.” (Full disclosure: Twomey is a former professor of mine) In fact, Fravel and Twomey argue that the focus on A2AD may the development of U.S. strategy and future weapons. Regardless of whether and/or why China is developing the a significant A2AD capability, I think the thesis of my argument below is still sound. The notions behind A2AD or “Counter-Intervention” are not new, as militaries have attempted to develop stand-off weapons that deny maneuver to their enemies on the battlefield since the dawn of warfare. This article could just have easily been written about English and Welsh longbowmen at Agincourt as the Egyptians in Sinai in 1973. 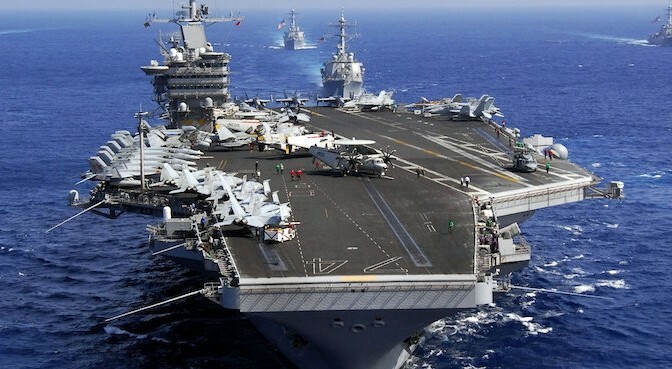 The threat posed by Anti-Access/Area-Denial (A2AD) capabilities is at the core of the the U.S. Navy and Air Force’s Air Sea Battle (ASB) operational concept. 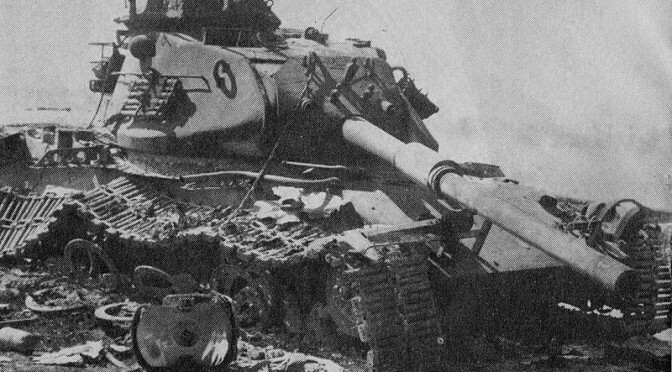 However, A2AD weapons are not new, in particular playing an important role in the 1973 Yom Kippur War. The ASB operational concept defines A2AD capabilities as “those which challenge and threaten the ability of U.S. and allied forces to both get to the fight and to fight effectively once there.” One of the main capabilities that ASB has been established to counteract and mitigate against is the “new generation of cruise, ballistic, air-to-air, and surface-to-air missiles with improved range, accuracy, and lethality” that are increasingly available to states around the world. Figuring out ways to operate in a world in which missiles are easy to acquire and operate is extremely important to the U.S. military, since A2AD weapons “make U.S. power projection increasingly risky, and in some cases prohibitive,” threatening the very foundation upon which the ability of the U.S. military’s ability to operate at will across the globe rests upon. Using A2AD weapons, particularly surface-to-air missiles (SAM), surface-to-surface missiles (SSM), and anti-ship cruise missiles (ASCM), to conduct a form of asymmetric warfare is not a new idea. 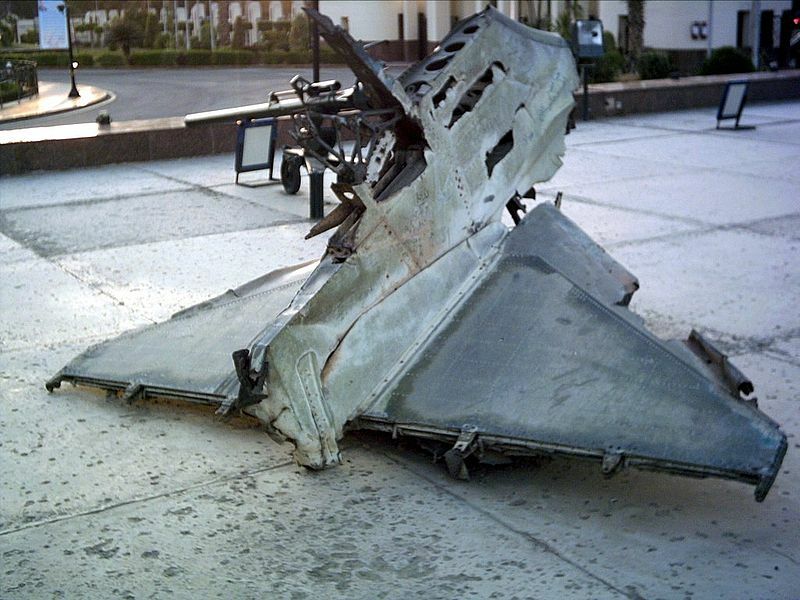 In particular, the use of missiles to counteract an enemy’s superiority in the air or on the ground was very much a part of Soviet doctrine by the 1960s. To protect against the U.S. air campaign during the Vietnam War, Soviet missiles and personnel were extensively used by North Vietnam. Perhaps the best example of A2AD in action, however, was the Soviet-enabled missile campaign waged by Egypt against the Israeli military during the 1973 Yom Kippur War (also known as the Ramadan War or October War). The Egyptians pursued a similar effort in their efforts to combat Israel’s ground forces. 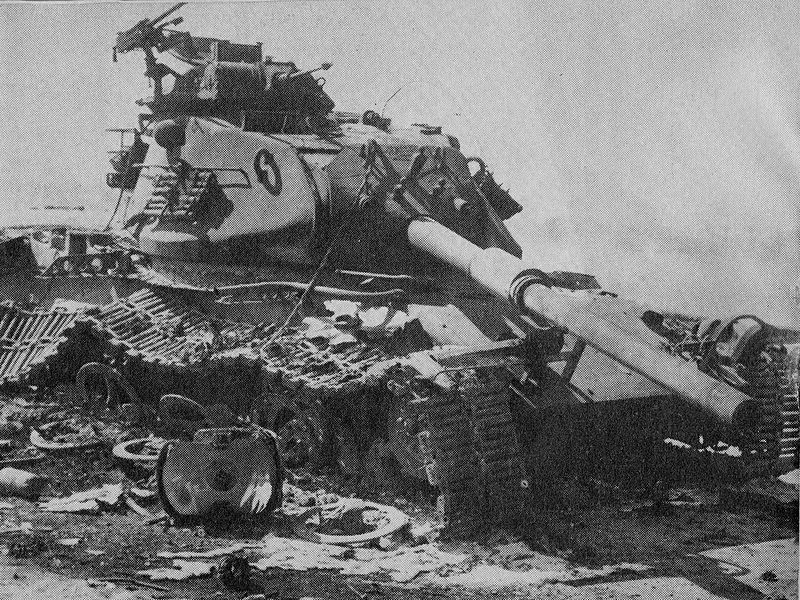 Per Herzog, Israel’s “armoured philosophy” emphasizing “massive, rapidly deployed, armoured counterattack” would be faced by an Egyptian Army that had crossed the Suez Canal “equipped to the saturation point in anti-tank weapons and missiles in order to wear down the Israeli armour.” The Arab leaders were not just concerned with achieving missile dominance inside the expected battlefield along the canal, however, but also that Eyptian and Syrian aircraft could not match their Israeli counterparts “outside the range of missile surface-to-air defence systems.” Therefore, the Soviets also provided surface-to-surface FROG and SCUD missiles capable of directly striking at Israel itself, with the hope that they could deter against Israel’s ability to attack their own capitals. If the Army’s AirLand Battle doctrine of the 1970/1980s can be seen as an intellectual precursor to Air-Sea Battle in its emphasis on “degradation of rear echelon forces before they could engage allied forces,” then the link between the 1973 Yom Kippur War and Air-Sea Battle is clear. General William DePuy was the first commander of the U.S. Army’s Training and Doctrine Command (TRADOC) upon its establishment in 1973. In particular, “DePuy had taken an intense interest in the reform of tactics and training, in line with tactical lessons drawn from the 1973 Arab-Israeli War.” During the tenure of DePuy’s successor, General Donn Starry, TRADOC formulated AirLand Battle and laid the doctrinal framework for the modernization of the U.S. Army and inter-service, joint operations. How and why Israel won the war in 1973 entails a much longer discussion possible in this particular blog post. The solution to A2AD that the Navy and Air Force have proposed through Air-Sea Battle “is to develop networked, integrated forces capable of attack-in-depth to disrupt, destroy and defeat adversary forces.” The reader can decide whether those are just buzzwords and whether the A2AD threat faced by the Israelis forty years ago was an easier challenge to overcome than what could be faced by the U.S. military today and in the future What is clear, however, is that the notion of A2AD is not new, and was very much an important part of Soviet-supported military operations during the Cold War.